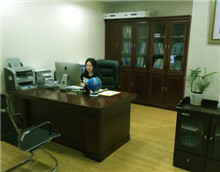 Our company is located in the largest industrial city �C Chongqing, China. We are the earliest professional manufacturer and exporter of marine equipment and offshore Equipment in China since 1996 year. As the subsidiarycompany of the Chongqing Hi-Sea Group, Our Group company has one forging facotory,one casting factory, Construction Material Machinery factory and one Import & Export Co.,Ltd. We have our own shareholding factories, also co-operated with other factories with high quality products. We have a professional international sales team to do the export business in the Global. We have good honor in the Field.As the business continues to expand, our business has covered Shipbuilding,Oil and Gas Field, Electric power,Metallurgy, universal machine, mining, automotive; production and processing comply with the buyers' sample and drawing; engineering project undertaking. We can provide ABS, BV, KR, NK, GL, LR, RINA, CCS, IRS, DNV classification society certificate for many products. Production and processing comply with the buyer's sample and drawing. Undertaking ship building orders and other engineering projects. Our company spirit: Integrity, Professional, Efficient and High Quality! We insist on doing everything seriously, and continuously improve and enhance our team's capabilities and services. In order to meet your needs, our team ready to go all out! Once you selected, we want to be your partner forever!